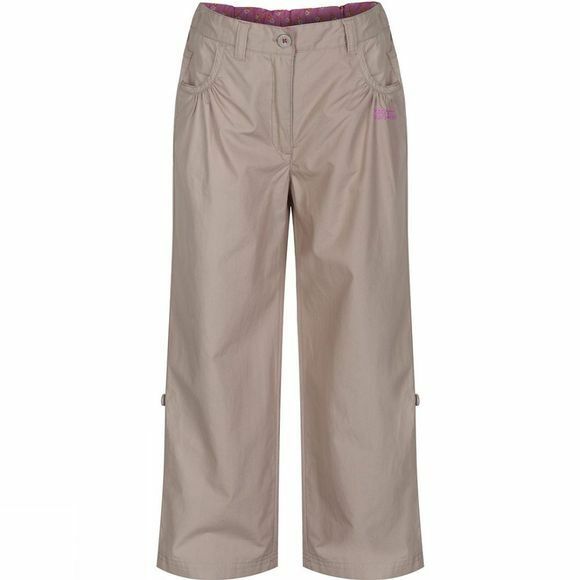 The Kid's Doddle Trousers Age 14+ are a great summer go to. They're made from light and airy Coolweave cotton fabric with a special vintage wash finish for a super soft feel. They have beach-friendly button tabs on the hem and gorgeous ditsy print trims for extra girly flair. Just add their favourite T-shirt and a sunhat for easy style on holiday or at home.